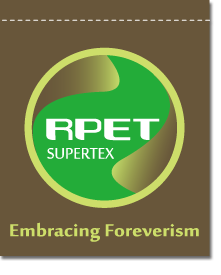 In Supertex, we have mentioned that we have our own garden and farm, but how to maintain is a problem. About 10 years ago, we decided to vacate an open space, where we could make natural compost in our factory. We put leaves, branches, weeds, and vine etc. together, mixed and exposed them to the sun to ferment. It is our belief, that we treat our environment well; the nature will give us the best feedback in turn, and it really works. By the way, the additional value of compost is: the garbage disposal fee decreased from over 7,500 NT to 3,000 NT per month.